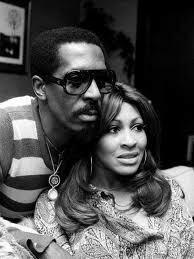 Ike & Tina Turner were an American musical duo composed of the husband-and-wife team of Ike Turner and Tina Turner. The duo started as an offshoot splinter act from Ike Turner’s Kings of Rhythm before the name changed to the Ike & Tina Turner Revue. The duo was once considered “one of the hottest, most durable, and potentially most explosive of all R&B ensembles”. Their early works including “A Fool in Love”, “It’s Gonna Work Out Fine”, “I Idolize You” and “River Deep – Mountain High” became high points in the development of soul music while their later works were cited for wildly interpretive re-arrangements of rock songs such as “I Want to Take You Higher” and “Proud Mary”, the latter song for which they won a Grammy Award. They’re also known for their often-ribald live performances, which were only matched by that of James Brown and the Famous Flames in terms of musical spectacle.